Wee Blue Swirls: What's the Scoop? It's Challenge time over at Whimsie Doodles and we have a fabulous fresh and bright colour theme this month. Aren't these colours beautiful? 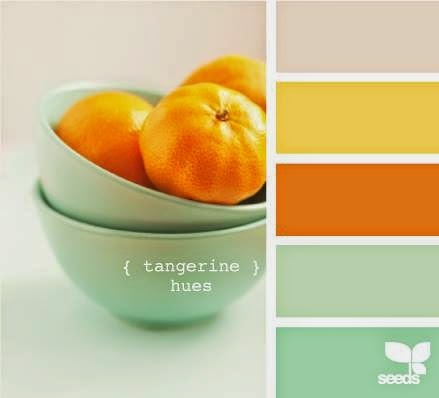 The tangerines in the photo made me think about food!! Soo, I just had to use a food digi! This yummy ice-cream is one of six images with sentiments available in the Sentiment-edibles collection. It is actually only two scoops high but I wanted three scoops on the cone so I printed the image of again and fuzzy cut a scoop and layered it on the top! Fun with a super layout. Thank you so much for posting your very beautiful art with us this week at Word Art Wednesday. We hope to see you again next week. Delicious! 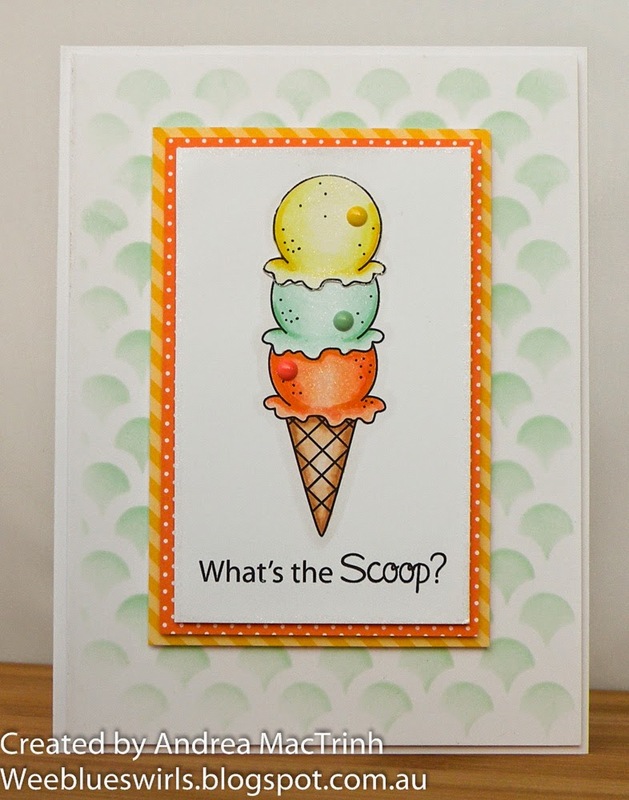 :) The stenciled background is so pretty and really shows off your three scoop cone. Bright, fun and love the summery colours. Thanks for playing along at Happy Little Stampers. Yum! Your shading is wonderful and the colours are definitely fresh and sweet! So glad you joined us at CASology this week! This is a gorgeous color combination. Thanks SO MUCH for sharing your sweet card in our challenge this week.